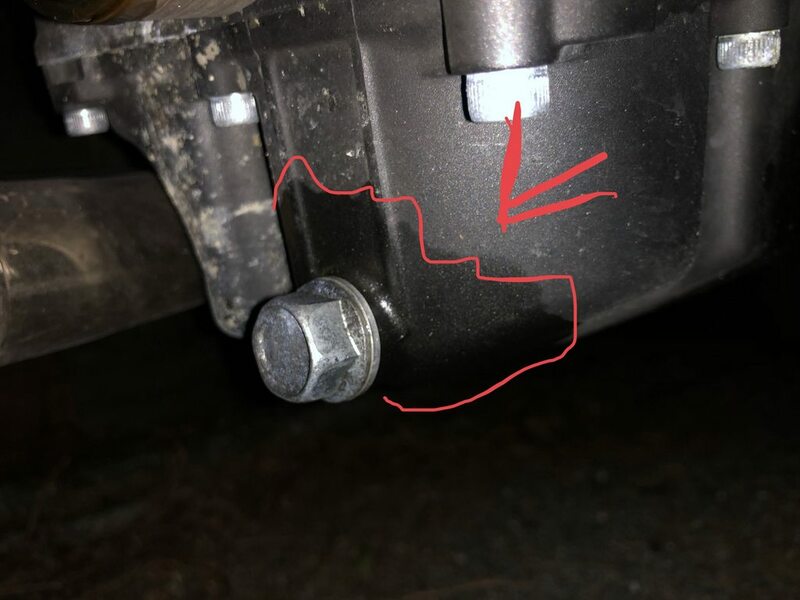 Recent oil change = Burning Oil smell / drain bolt area leaking? I recently changed my oil for the first time since I've owned it. It's a 2015 FZ-07 with 9000km on it. After my oil change, I was kind of nervous about the oil level. I put in around 2.6 or 2.7 liters and it was very hard to read the actual glass level checker thing. I got my friend to sit on the bike after running it for 2min and then while he sat on the bike and kept it very straight, I checked the oil. I included the picture of the oil level after 2min since turning off the engine. It continues to very slowly rise if I keep waiting though. Is that okay? Or does that mean I have too much oil in it? Also, after changing the oil, I went for a ride and noticed an oil burning smell whenever I got back or parked my bike. I checked the oil filter area and as you can see it's leaking. Fortunately, it wasn't really leaking much, just one drop every hour or smth. So I just took a wrench and tightened it to the point where I couldn't tighten it anymore with my strength (I'm assuming that's tight enough now). I cleaned the leaking oil off as well. But then I looked at the drain bolt area and I noticed it's like moist(?) near the drain bolt. But also near the back of the oil sump. I never bothered to check this area before so I don't even know if that is normal or not but is that leaking oil too? The drain bolt is on very tight and shouldn't be leaking...so I don't really get what those "moist" markings are and why they're on the back part of the oil sump too? Update: I checked all around the oil sump and there are no cracks anywhere (near the drain bolt or near the back). Checked the bottom, right side, left side, top..no cracks anywhere. Still lost to what that moisture/condensation is and if it's just normal? Maybe I could just clean it off and see if it re-appears. Update 2: While cleaning the drain bolt area I realized that "moisture" is probably just left over oil markings from when I changed the oil ... lol. I'm not so smart. Anyways, I cleaned it off so I guess I can see if it reappears. @fz072015, the oil filter does not need to be very tight. Just hand tight plus a quarter turn should be enough or it will be really hard to remove. Did you rub oil on the rubber o-ring before you installed it? Also be careful of over tightening the drain bolt. Some guys here have cracked the oil pan by tightening it too much. I always use a new crush washer on the drain bolt too, but many people have no problem reusing the old one. I just figure it is cheap insurance. The drain plug doesn't have to be very tight at all. Like you mentioned, overtightening can easily crack the pan. These plugs only need to be about sparkplug tight. If it ends looking like it is seeping oil there you probably just need to replace the washer under the plug. They are replaceable sealing washers. On the oil level, the FZ07 has been the hardest bike I've ever owned to nail the oil level for some reason. I always give the bike several minutes for the oil level to normalize before carefully topping it up to the correct level, yet I always end up checking the oil at a later date and will find the site glass completely covered. I've decided not to worry about it too much As long as it's not grossly overfilled it won't create any issues. I’d agree that is to tight for a drain plug, park it over Cardboard after a ride makes it easier to see drips. I have overfilled it once as well takes a bit less that you think. check the drain plug on the left side of air box (small rubber plug held on by a fuel line clamp) to see if any oil came out the breather line into the intake might explain the oil smell. Another thought is that if a little bit of oil got on your exhaust from the filter change or splashing up from the drain pan can make more smoke/smell than you’d think. If you have an owners manual you should use it, it tells you how much oil, how to, etc. 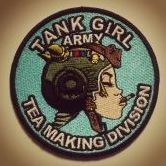 If you don't have one you should get one. Just a suggestion, do with it as you please but a center stand is very helpful for oil changes, chain cleaning/lubing, parking on bad surfaces and winter storage. The owners manual can be downloaded from Yamaha in a PDF format. Also I suggest you spend the money on a proper torque wrench to know how tight you need to be on the drain bolt. Good luck resolving your leak. Can you recommend a good one for him? As you told me before, that's not a tool that you should go cheap on. You don't need to get a specific brand of torque wrench. Only buy one that has a specification stating how accurate it is. Stay away from "made in China" on this tool even if it has the spec, they just make up some good numbers. I just added an electronic one to my collection and trust it more than the "screw tighten" type as I have had a lot of experience with electronic load cells in the past and know that their accuracy is incredible. I can write a whole thread on Torque wrenches and I'll do just that later today in the Tool Shed sub-forum of the Garage forum. But as far as this thread is concerned you also want to make sure you get one with the proper range for the job. You wouldn't use the same one to read <10ft-lbs small bolt as you would torqueing your tire lugs on your car to 120ft-lbs. You need the right one for the job. Just my $0.02, but beam-type torque wrenches are pretty foolproof. And 95% of all stripped fasteners I see are a result of torque wrenches. That's not to say that I think they are bad, but people have a bad habit of trusting the wrench more than their hands and will just keep pulling on the wrench. So when you re using a torque wrench, be mindful to put your hand on the handle to recreate the same amount of leverage your typical wrench/ratchet will give you. That way you begin to "calibrate" your hand to what feels right. I understand what you're saying. But if you're not an experienced wrencher, starting out using a properly functioning torque wrench will help "calibrate" your hand. Nothing beats experience with or without a torque wrench.